Are you ready to see one of the very best circus productions ever to have existed?? Then get ready for Cirque du Soleil – Corteo!! This surreal production will be delighting audiences at The Forum, Inglewood on Thursday 28th March 2019 – make sure you’re there!! Cirque du Soleil shows are known across the world for being truly superlative, and Corteo is no exception to that rule. Don’t miss out on this incredible performance – book your tickets to see Cirque du Soleil – Corteo today!! Of all Cirque du Soleil’s productions, Corteo is one with the most darkly comedic elements at its core, with the central character being a clown character, the entire performance playing out as he imagines his own funeral. It’s also one of the most mysterious, in that regard more akin to a magic show, with some of the stunts seeming virtually inexplicable to audiences. What are you waiting for?? 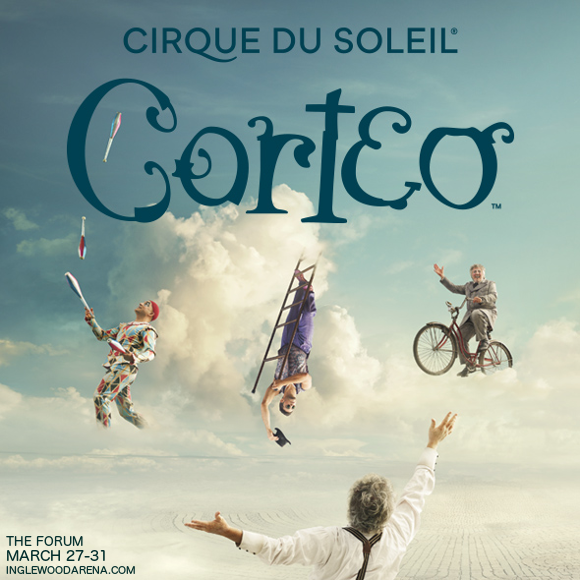 Grab your tickets to see Cirque du Soleil’s Corteo NOW while they last! !